Our next warbird coming to DCS World will be the Focke-Wulf 190 A-8 Würger (Strike) of the German Luftwaffe. Designed by Kurt Tank in the 1930s, the Fw 190 was a single seat German fighter powered by a powerful BMW 801 radial engine. Fantastic news. This will give us a real 1943-44 LW fighter! 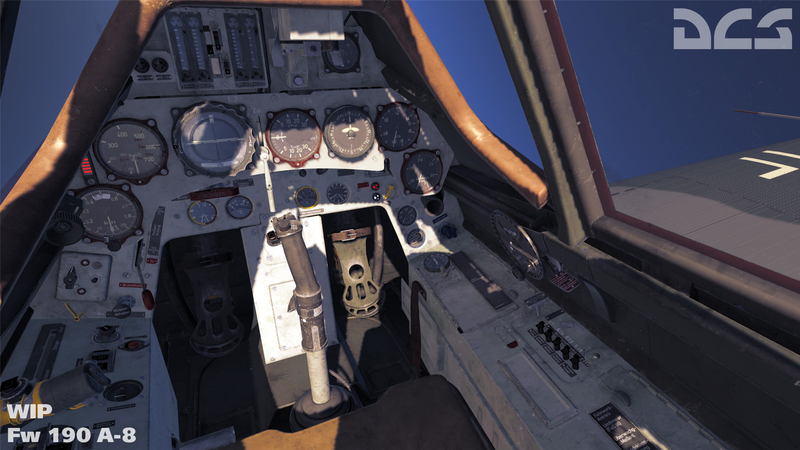 DCS: Fw 190 A-8 will come to DCS World! Our next plane that will be recreated as part of the DCS World WWII project will be the Luftwaffe's Focke-Wulf 190 A-8 Würger (Shrike) strike fighter. Created by Kurt Tank in the 1930s, it was a single-seater fighter equipped with a powerful BMW 801 radial engine. When it first appeared on the Western Front, it demonstrated marked superiority over its main rival, the British Spitfire Mc.V. It was this situation that spurred the release of Spitfire Mk. IX in the middle of the war. We expect to see very dynamic online battles between the new Fw 190 A-8 and Spitfire Mk.IX! Released in February 1944, the A-8 variant, with its improved armour and a more advanced engine, was able to carry out air-to-air fighting and strike ground targets with confidence. 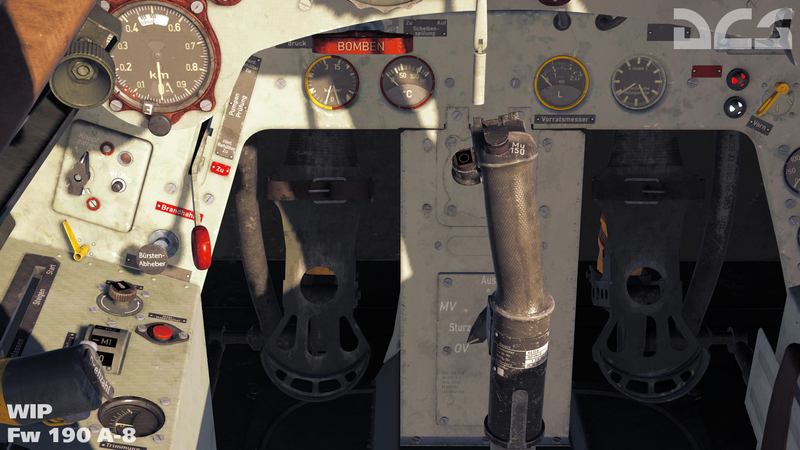 Nicknamed the Butcher Bird, the Focke-Wulf-190 A-8 is a weighty addition to the existing core of WWII aircraft and will become an indispensable aircraft on Normandy map. That's a good thing for a simple reason. It wasn't in the original nonsense planeset. So we can now expect new planes that actually make more sense in a Normandy scenery. Would be interesting to know if the fact that already had a FW helped in developing this module. If so maybe we can expect something similar like a Bf109G6 or a Spit VIII ( both would be great for your Italy battles btw). I doubt the Spit VIII (never used operationally in the ETO, only the MTO and CBI) but yes, would be good for Italy. As for the 109G, I would hope so; on the face of it, you could take the K we have, make it draggier, heavier and less powerful and voila! Lol! Bit more complicated than that I know but not so different a step than what we'd see with the 190A-8. It will depend on what specific variant of the G we'd get; I'd hope that we got a late G-6 - I know the Luftwhiners would cry "what about my G-14?!?" but given it entered service in July, I heartily doubt that the entire 109 flying Jadgwaffe was so re-equipped overnight and postulate tat there would have been a greater number of late G-6s in the inventory until the end of the campaign, ergo it would be better representative of the typical 109 encountered over Normandy. That prompted me to do some research to see if I could find when the FW 190 variants entered service. The first frontline unit to get a FW 190 D-9 was III./JG54, at the beginning of October 1944, located in North-west Germany. There is mention of this unit getting D types on 05-Sep-1944, but this doesn't specify the sub-type. Even in September though, the unit was in North-west Germany. Units began to convert to the Fw 190 A-8 in April 1944: I./JG 1, II./JG1, I./JG2, III./JG2, I./JG11, III./JG 11, I./JG 26, II./JG26, I./JG 300. Some of these at least were based out of Normandy (JG2 were at Cormeilles and Creil, for example). This is very good news and if ED happen to read this, may I say a thank you for bringing in relevant airframes into the WW2 offerings.